Strik Baldinelli Moniz (SBM) is a dynamic Structural and Civil Engineering firm with offices in Arva, London and Waterloo, Ontario. Our combined firm’s strength in water, land developments and building design position the firm well in providing cost effective, timely solutions to architects, developers and contractors across the province. 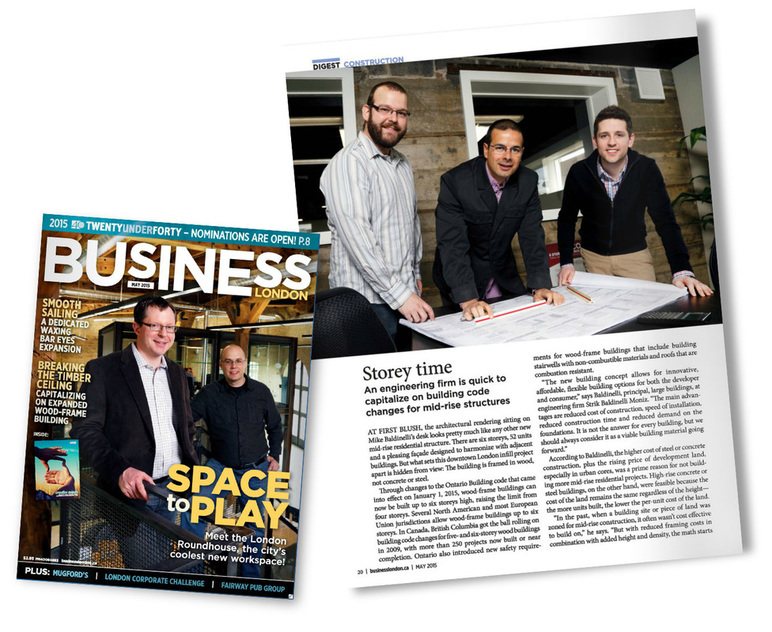 The partners at SBM consist of Aaron Strik, P.Eng, Michael Baldinelli, MESc, P.Eng and Kevin Moniz, P.Eng. Each partner complements the firm to service a wide variety of clientele. Aaron Strik, specializes in residential and small building design, Michael Baldinelli, specializes in large building design and Kevin Moniz specializes in civil design. 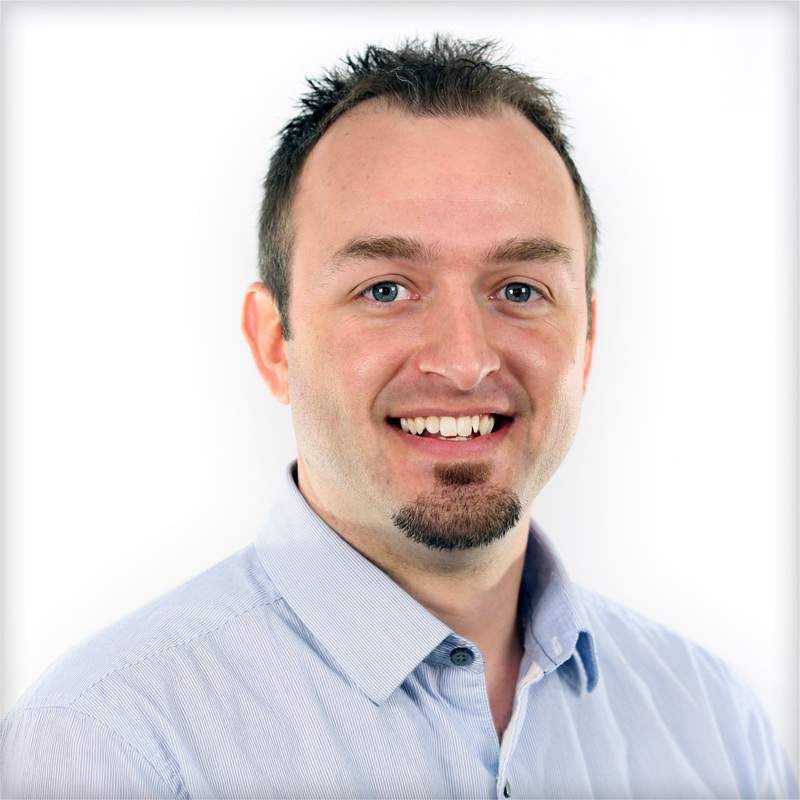 Aaron is a graduate of Civil Engineering from the University of Waterloo. 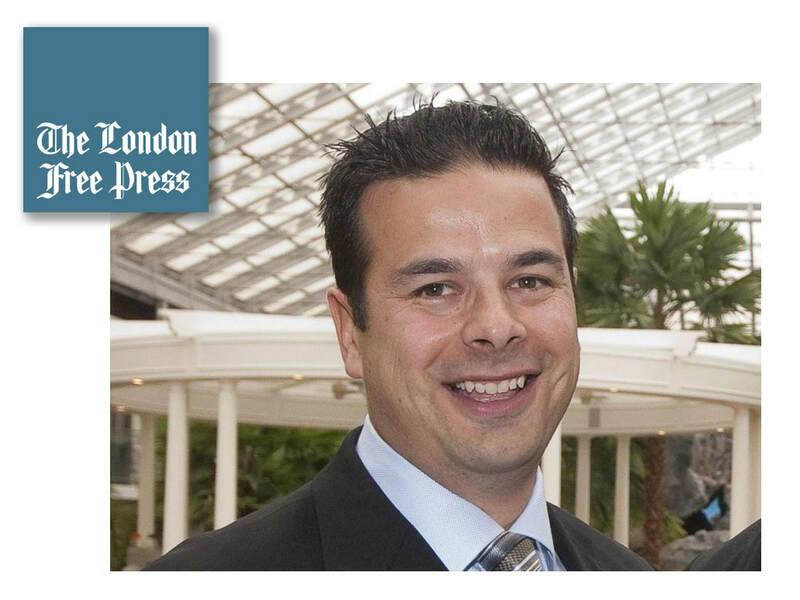 Aaron has built the firm to be one of the largest residential engineering firms in the province. 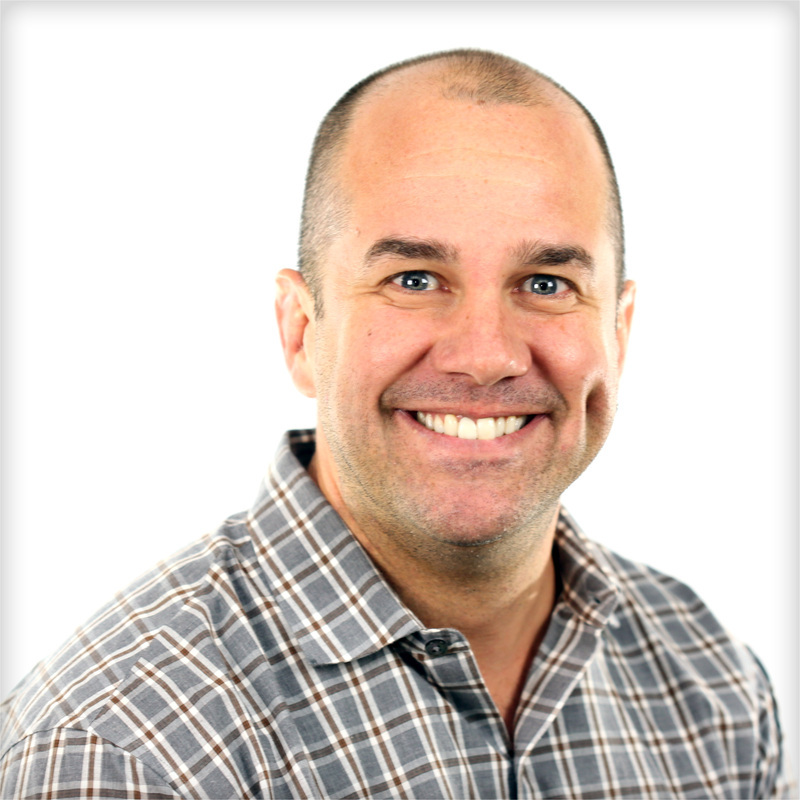 Aaron’s role with the firm will remain steadfast, offering quick and economical engineering solutions to home builders and developers while taking control of the small building division in the firm. The need for quick, reliable solutions for small projects has always been at the forefront of the firm and will remain vital in our growth going forward. Michael is a graduate of Civil Engineering (Undergraduate and Graduate Degrees) from the University of Western Ontario. Michael has built relationships with architects and developers, becoming a significant structural design firm in the province. With offices in London and Waterloo, our project portfolio spreads across the province specializing in building types such as: multi-level residential, libraries, churches, industrial buildings and retail structures. Kevin is a graduate of Civil Engineering from the University of Waterloo. 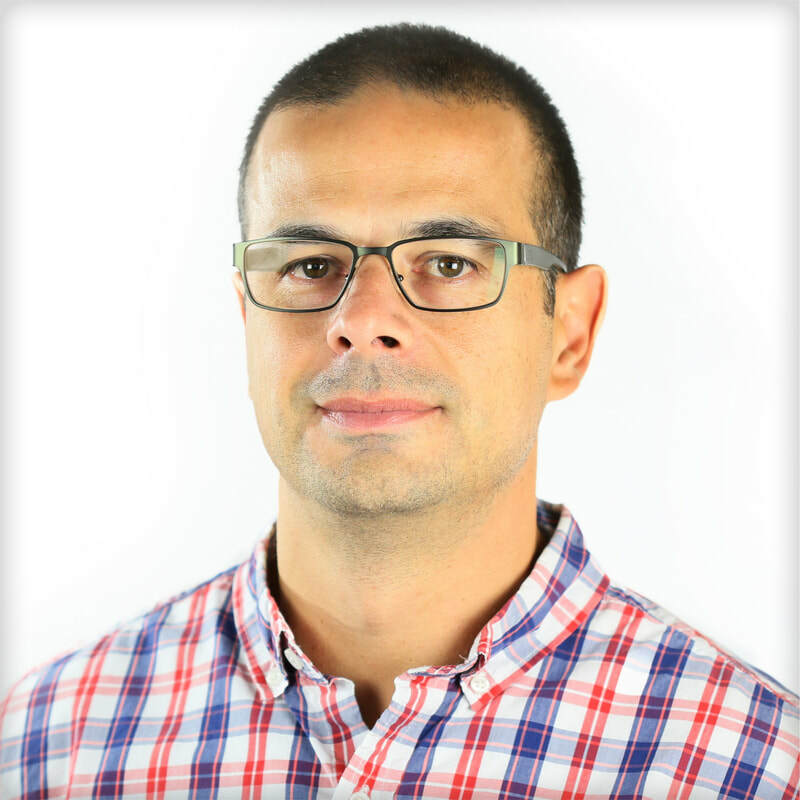 Kevin’s role is to oversee the Civil Engineering Design wing of the firm specializing in Site Servicing design for buildings, Sub-division design and municipal road work projects. Kevin has developed strategic relationships with architects, school boards, municipalities and private developers and will continue to foster these relationships going forward. 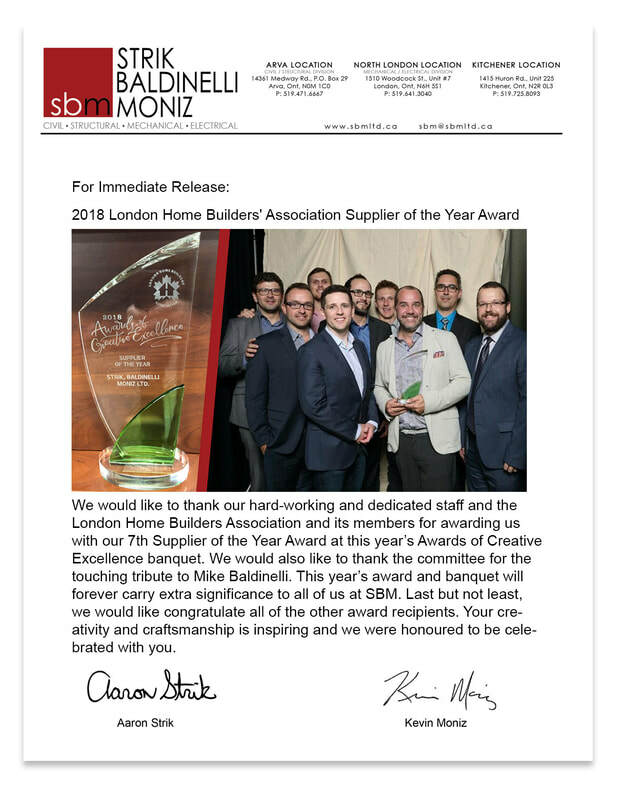 We would like to thank our hard-working and dedicated staff and the London Home Builders Association and its members for awarding us with our 7th Supplier of the Year Award at this year’s Awards of Creative Excellence banquet. We would also like to thank the committee for the touching tribute to Mike Baldinelli. This year’s award and banquet will forever carry extra significance to all of us at SBM. Last but not least, we would like congratulate all of the other award recipients. Your creativity and craftsmanship is inspiring and we were honoured to be celebrated with you. ​Templar Flats in Hamilton, Ontario, has the distinction of being the first occupied, modern wood-frame mid-rise building completed in Ontario. It was constructed under provisions (O. Reg. 191.14) added to the province’s Building Code (2012 OBC) that permit wood-frame construction up to 6 storeys, an increase of two storeys over the previous iteration of the code. The 6-storey, mixed-use project offers 25 modern residential units above three street-level restaurants in the city’s downtown core. 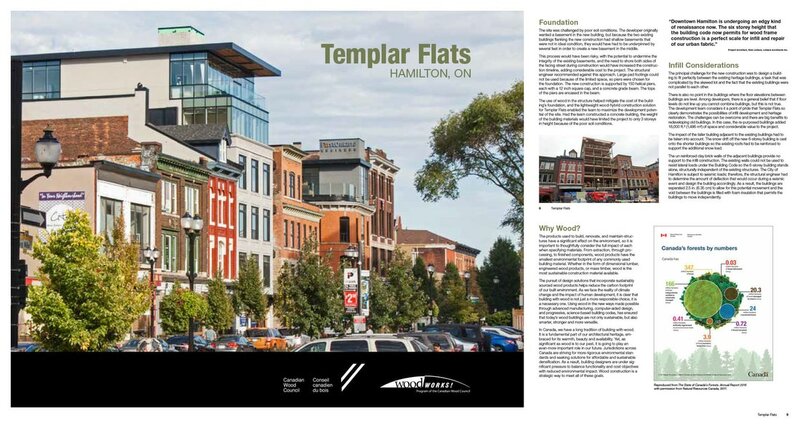 The City of Hamilton is committed to revitalizing the downtown and developments on King William Street, including Templar Flats, have bene ted from infrastructure improvements in the area. ​Templar Flats brings together the best of the old and new in an innovative, hybrid solution that puts a modern 6-storey building with glass penthouses between two thoughtfully restored heritage buildings that were adapted into a single, uni ed development. 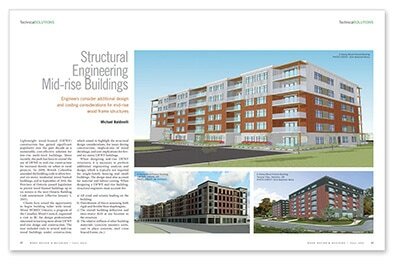 Strik Baldinelli Moniz is honored to be awarded the 2016 Best Multi-Unit Wood Framed Building for its structural design of Templar Flats in downtown Hamilton. Templar Flats was the first six storey wood framed building completed in Ontario. Michael Baldinelli, P.Eng, MESc, Principal of the Large Building Division was awarded the 2016 Engineer Wood Advocate Award by Ontario Wood Works. The award highlights Michael’s work and advancement into the design of midrise wood framed buildings in Ontario. 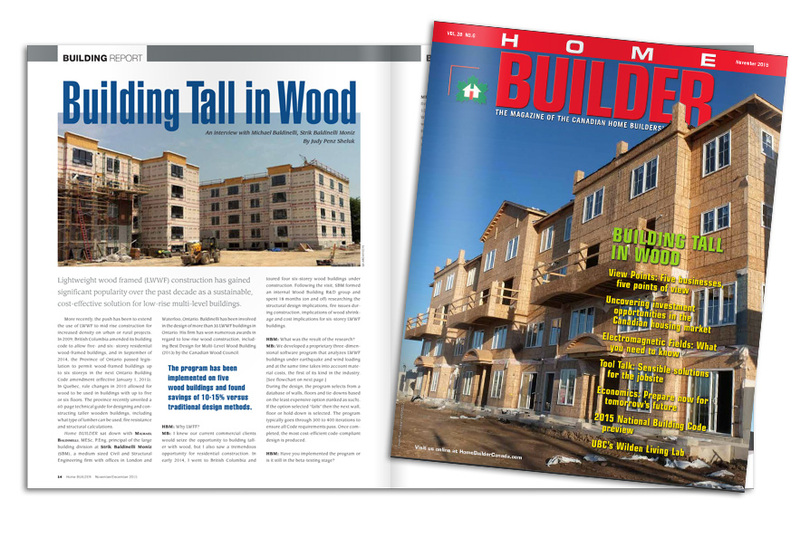 ​Research and new technologies are helping to advance mid-rise wood construction. 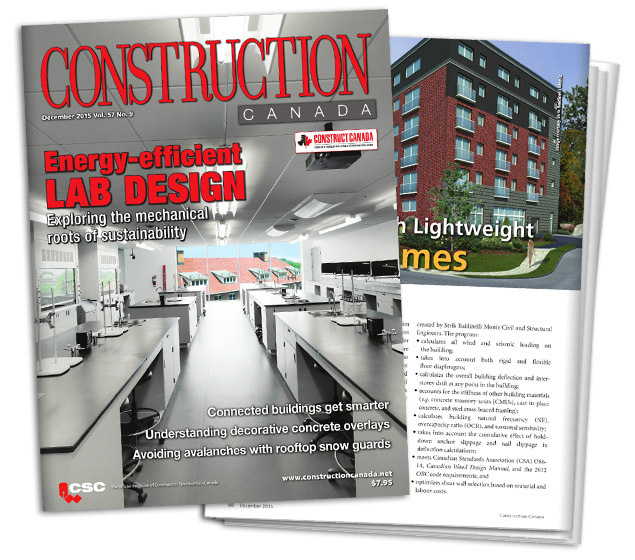 On January 1, 2015, after years of advocacy efforts by Ontario’s building industry, the Canadian Wood Council and numerous Ontario municipalities, the Ontario Building Code amendment to permit six-storey wood-frame construction was finally put in place. Read the article here. Take a look at some of our Recent Projects and learn more about our Structural Engineering, Civil Engineering, Mechanical Engineering and Electrical Engineering.